View The Obituary For LOTUS D. HELM. Please join us in Loving, Sharing and Memorializing LOTUS D. HELM on this permanent online memorial presented by Livingston Funeral Home. View The Obituary For Robert Young. Please join us in Loving, Sharing and Memorializing Robert Young on this permanent online memorial presented by Kinsley Mortuary, Padden Funeral Chapel, Hanover Mortuary & Axtell-Landreth Funeral Home. View The Obituary For Delbert Reh Stanley. Please join us in Loving, Sharing and Memorializing Delbert Reh Stanley on this permanent online memorial presented by Wilson Family Funeral Home. View The Obituary For Lois Marie Sewell. Please join us in Loving, Sharing and Memorializing Lois Marie Sewell on this permanent online memorial presented by Davidson Funeral Home. View The Obituary For Delores Marie McDaniel. Please join us in Loving, Sharing and Memorializing Delores Marie McDaniel on this permanent online memorial presented by Prairie Rose Funeral Homes. View The Obituary For Marcella Eileen Chapman. Please join us in Loving, Sharing and Memorializing Marcella Eileen Chapman on this permanent online memorial presented by Jones – Campbell Funeral Home. View The Obituary For Velda Virginia Dunkin. Please join us in Loving, Sharing and Memorializing Velda Virginia Dunkin on this permanent online memorial presented by Chaput-Buoy Funeral Home. View The Obituary For Clarence E. Mendenhall. Please join us in Loving, Sharing and Memorializing Clarence E. Mendenhall on this permanent online memorial presented by Chaput-Buoy Funeral Home. View The Obituary For Mona Maxine Oller of Nixa, Missouri. Please join us in Loving, Sharing and Memorializing Mona Maxine Oller on this permanent online memorial presented by Bryant Funeral Home and Nicholson-Ricke Funeral Home. View The Obituary For LOTUS D HELM of Spivey, Kansas. Please join us in Loving, Sharing and Memorializing LOTUS D HELM on this permanent online memorial presented by Livingston Funeral Home. View The Obituary For Delores Marie McDaniel of Attica, Kansas. Please join us in Loving, Sharing and Memorializing Delores Marie McDaniel on this permanent online memorial presented by Prairie Rose Funeral Homes. View The Obituary For George N. Heskamp. Please join us in Loving, Sharing and Memorializing George N. Heskamp on this permanent online memorial presented by Ziegler Funeral Chapel. View The Obituary For Robert Young of Marysville, Kansas. Please join us in Loving, Sharing and Memorializing Robert Young on this permanent online memorial presented by Kinsley Mortuary, Padden Funeral Chapel, Hanover Mortuary & Axtell-Landreth Funeral Home. View The Obituary For Delbert Reh Stanley of Bennington, Kansas. Please join us in Loving, Sharing and Memorializing Delbert Reh Stanley on this permanent online memorial presented by Wilson Family Funeral Home. View The Obituary For Marcella Eileen Chapman of Waverly, Kansas. Please join us in Loving, Sharing and Memorializing Marcella Eileen Chapman on this permanent online memorial presented by Jones – Campbell Funeral Home. 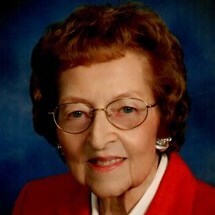 View The Obituary For Virginia Dunkin of Clyde, Kansas. Please join us in Loving, Sharing and Memorializing Virginia Dunkin on this permanent online memorial presented by Chaput-Buoy Funeral Home. View The Obituary For Lois Marie Sewell of Topeka, Kansas. Please join us in Loving, Sharing and Memorializing Lois Marie Sewell on this permanent online memorial presented by Davidson Funeral Home. View The Obituary For Clarence E. Mendenhall of Concordia, Kansas. Please join us in Loving, Sharing and Memorializing Clarence E. Mendenhall on this permanent online memorial presented by Chaput-Buoy Funeral Home. RANDALL — Alan McMillan, 87, of Randall, passed away Jan. 30, 2019, at his residence. Kleppinger Funeral Home, Jewell, is handling arrangements. MINNEAPOLIS — Betty Guipre, 93, of Minneapolis, Kan., passed away Thursday, Jan. 31, 2019. Wilson Family Funeral Home, Minneapolis, is handling arrangements. Phyllis I. Basom, 93, of Salina, passed away Friday, Feb. 1, 2019. Ryan Mortuary, Salina, is handling arrangements. Dorothy Louise “Dot” (Laas) Richards, 98, of Salina, passed away Friday, Feb. 1, 2019. Ryan Mortuary, Salina, is handling arrangements.